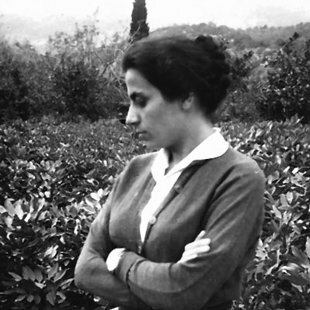 Domna Samiou was born on October 12th 1928, in the Kaisariani1 neighborhood in Athens and died on March 10th 2012. Her parents were refugees from the village of Baindir in the Smyrna (Izmir) area. Her mother came to Greece in 1922, whilst her father, who was a prisoner of war, arrived slightly later during the exchange of populations2. During her childhood years she lived the harsh life of a refugee, but was also surrounded with the humane solidarity of the refugee communities. That is where she acquired her deep connection with popular culture and her aptitude to participate. It was in these surroundings that she also came into contact with music for the first time and where she acquired her love for folk music. 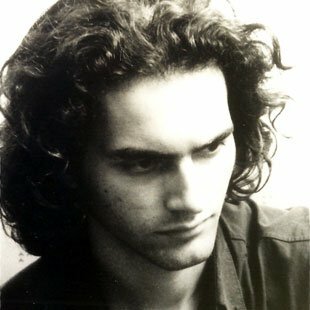 At the age of thirteen, whilst attending night school, Domna Samiou also began to receive her first formal musical training from Simon Karas at the Association for the Dissemination of National Music, where she was tutored in Byzantine and Folk music, as well as being introduced to the idea of field research in music. Her first professional collaboration with the National Radio Foundation (E.I.R. )3 started when she was a member of the Simon Karas choir. In 1954 she became a full time employee of the station, working in the ‘National Music Section’4. 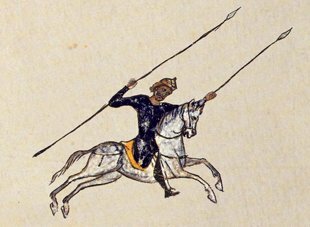 Through her work there, she came in contact with the leading traditional musicians of the day, who were part of the greater migration wave at the time from the countryside to Athens. The National Music Section was busy recording such musicians and as a result, she became acquainted with all the various local musical styles. At the same time she was conducting the musical supervision for records, theatrical programs and films. In 1963 she started touring the countryside independently, to record music for the archive she was establishing, using her own means and equipment. 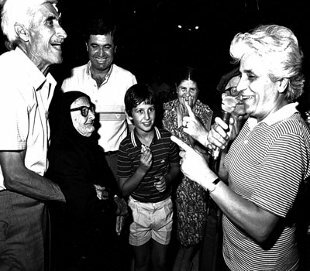 In 1971 Domna Samiou left her radio job and importantly, later in the year, accepted an invitation by the composer and performer Dionysis Savvopoulos to start performing at a club called Rodeo, (see The first concerts) frequented by a youthful anti-junta5 audience. 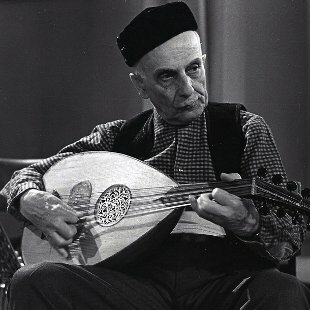 This marked the beginning of Domna Samiou's impact on the appreciation of folk music by the younger generations in Greece. Soon after she performed at the English Bach Festival in London, which was being run by Lila Lalandi at the time. It was a triumphant start to a brilliant musical career. 'It made people overcome the embarrassment they felt for folk music' as she herself stated later. In 1974 she started her collaboration with the Columbia record company, which resulted in a number of LPs being produced over the next years. In 1976-77, together with the film directors Fotos Lambrinos and Andreas Thomopoulos, she toured the Greek countryside and produced twenty episodes for the program ‘Musical Travelogue with Domna Samiou’ of the Greek national television (ERT). 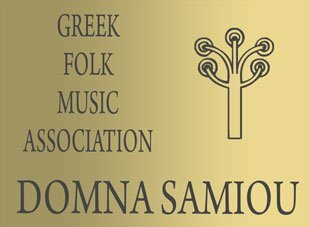 In 1981 the Domna Samiou Greek Folk Music Association was founded to preserve and promote Greek traditional music and allow for the production of records and the organisation of musical events to the highest standards, free from the demands of commercial record companies. Domna Samiou's work reaches beyond the borders of Greece. Her records have been produced also under French and Swedish labels. For about forty years now she has performed all over the world, in places as distant as Australia and South America, appealing not only to the Greek diaspora, but also introducing non-Greek audiences to 'Greek music with no Bouzouki', as one critic in Sweden put it. 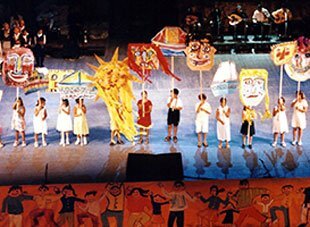 Within Greece her performances and appearances have been innumerable, as have been the tributes, such as the concert The known and the unknown Domna held at the Athens Concert Hall to celebrated her seventieth birthday in October 1998. In her work she has collaborated with the most renowned Greek and foreign musicians, musicologists, anthropologists and ethnomusicologists. Since 1994 she teaches traditional folk singing to adults at the Museum of Popular Musical Instruments of Athens. She has also initiated, taught, and promoted many young musicians, and has actively and selflessly undertaken numerous initiatives to improve musical education in primary schooling, which she considers of vital importance. 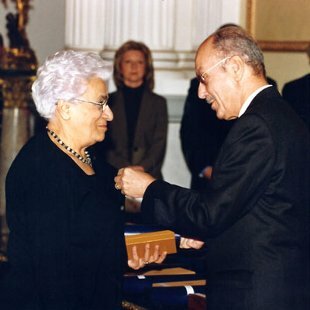 Celebrated for her work and endeared by her amicable character, she has witnessed her work being recognised broadly, and has received innumerable honors and prizes, including a medal from the President of Greece K. Stefanopoulos in 2005. 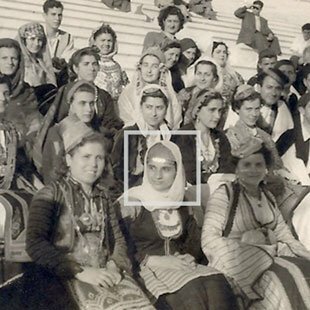 Surrounded by colleagues, friends and supporters, Domna Samiou continued her work till her death. The Domna Samiou Greek Folk Music Association is currently involved in producing thematic series of CDs (which include extensive informative booklets on the contents), the organisation of her personal archives and the preparatory work to make them available on the web. 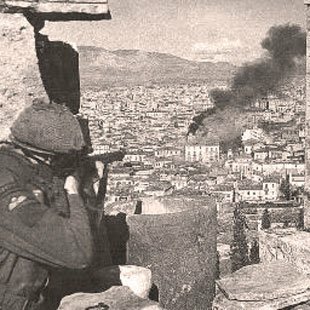 1The neighborhood of Kaisariani, to the east of central Athens, is one of the numerous neighborhoods which were established with the influx of Greek refugees from Turkey in 1922. 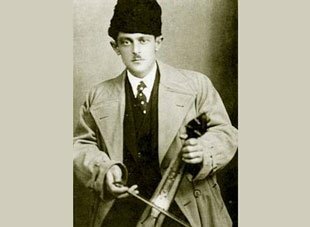 2The compulsory large scale exchange of populations between Greece and Turkey in 1923, following the cessation of hostilities between the two countries in 1922. 3E.I.R. : The state run national radio station of Greece. 4In fact the folk music section of E.I.R.